Portugal’s Algarve is almost as famous for its diverse shopping facilities as it is for its golf and beaches. From boutique shops selling quirky handmade goods and a string of gypsy markets that travel the coast, to designer brands in large shopping malls and supersized hypermarkets, shopping in the Alvor area is sure to please. 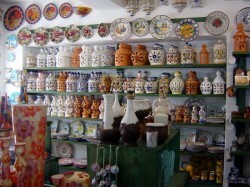 Traditional wares to look out for include embroidery and linen, hand-painted ceramics, jewellery and even furniture, while Port wine and many other Portuguese grape varieties are increasingly popular and represent excellent value for money when bought here rather than at inflated import costs back home. As one of the Algarve’s smaller, less developed resorts, the fishing village of Alvor does not offer the glitzy mall shopping that some Algarve visitors come to seek out, though that too can be found within a short drive. However, Shopping in the Alvor area still offers plenty of small boutiques selling crafts, ceramics, basketware and other popular mementos for visitors to take home and remind them of their trip. There are several delightful little shops selling hand crafted jewellery and ornaments made from precious and semi-precious stones, offering something quite quirky and different from the normal fare. Try the Kraftwork craft studio, where you can watch modern styled clothing and jewellery being made by hand using traditional methods, all of which are for sale at highly competitive rates. Alvor market represents excellent value for money and is a delight to the senses, piled high with fragrant and colourful fruit and vegetables. And if you are self catering, don’t miss the chance to pop into the fish market for a delicious freshly caught specimen to grill on your barbecue, washed down with glass or two of the local planalto wine. Other staples can be purchased at the Alisuper or Pingo Doce supermarkets, including imported and branded goods, or head to one of several minimarkets that are dotted around the town. 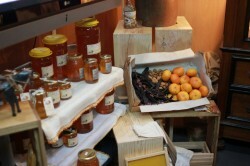 Figs and sardines are local specialities and must be tasted while you are here. If you have left your holiday reading at home, or exhausted your supplies thanks to a series of relaxed afternoons on your sunbed, don’t despair. 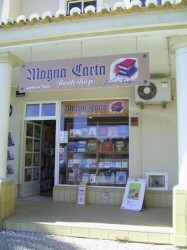 The Magna Carta Bookshop in the village centre sells a good selection of new and second-hand books in a variety of languages from as little as two euros apiece. For a taste of some upscale Algarve shopping, head to nearby Portimão. Portimão shopping seems to get better and better every year and it is one of the best known retail centres in southern Portugal. From hypermarkets to malls, from boutiques to market stalls, there really is something for every shopper here. Portimão offers some interesting town-centre boutiques selling lovely handmade crafts and original clothing, but perhaps its main draw is the malls and retail parks that line its outskirts. Here shoppers can want for nothing – household items, leather goods, fashion, accessories, perfumes and cosmetics, shoes, art, crafts and just about everything else can be found in abundance, from high street names to one-offs. 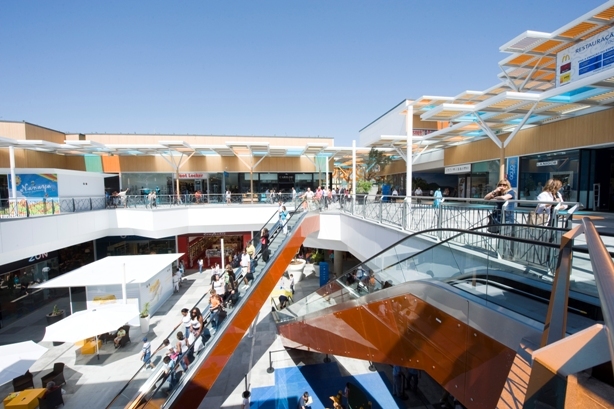 Head to Portimão Retail Park for large retailers including Decathlon, Aki, Staples, Moviflor and MultiOpticas, or to Portimão Retail Centre for Casa, C&A, Sportzone, Brinka, Opticalia and a Mini Preco supermarket. Aqua Portimão is the newest shopping centre, opened in 2011, and features many high street fashion names laid out over two floors with plenty of parking. Restaurant facilities and daily children’s entertainment also make Aqua Portimão a good choice for families as well as die-hard shoppers. The largest of the Portimão malls is the Continente Shopping Centre, located along the road between Portimão and Praia da Rocha. The Continente Shopping Centre is a large centre with shops laid out over two floors and a six-screen cinema complex above. A large food hall completes the offering. 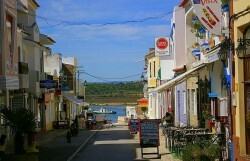 Whatever you are looking for from your Alvor shopping experience, you are sure to find it here. From quirky one-offs such as the Magna Carta Bookshop and the Kraftwork craft studio to supermarkets such as the Alisuper and Pingo Doce, Alvor offers plenty right on your doorstep. And with the major retail centres of Portimão close by, including the Portimão Retail Park and Portimão Retail Centre, all of those home comforts and holiday bargains and certainly close at hand.